First things first: the HTC One S is a cracking looking device. It’s marketed this as the thinnest handset HTC has ever made. And you feel that when you take it out of the box. It’s tall at about the same height as last year’s HTC Sensation (with which it will draw a lot of comparisons) but a lot, lot sleeker. Measurements come in at 130.9 x 65 x 7.8mm and weight wise, it’s pretty insignificant at a shade over 119g. And that’s even more impressive when you look at what’s inside. GPS, HSDPA etc – all elements we’d expect nowadays and all packed in here like sardines. First thing you notice is that huge black, glossy display on the front. Resolution wise, it keeps the Sensation’s 4.3-inch display with a 540 x 960 resolution. It’s clearly not as sharp as that found in the daddy of the range, the HTC One X, nor the likes of Apple’s iPhone 4S or the Sony Xperia S (and you will be able to discern pixels if you look too closely) but it puts in a very good effort. Colours are easily as bright and vivid as the now almost year-old Samsung Galaxy S2 even though the Super AMOLED display lacks the ‘Plus’ bit that the latter handset boasts of. In fact, if you put the phone down on a table and look at it from a couple of feet away, that screen looks even more incredible with hues just jumping out at you and finished off with the polish of the glass. The display has been pushed even further up towards that protective glass and it really shows. This is a display HTC can be proud to push. Although the HTC One S ships with Android 4.0 Ice Cream Sandwich out of the box, it’s decided to still include three soft keys beneath the screen. They’re fully responsive and we had no issues whatsoever with them. The design is pretty minimalist. The front also houses that VGA front snapper for video calling as well as the earpiece, which actually consists of dozens of holes individually drilled into the chassis to add to the air of class. Up top is the power/lock button and 3.5mm headset jack, the right holds a volume rocker, the left gives us a micro USB socket and nothing at the bottom other than a tiny microphone hole. The rear has little other than holes for the speaker (again, drilled in), a couple of logos and the camera with LED flash. Completing the minimalist look, you’ll see that at the back, you can only remove a small area, which allows you to add the (micro) SIM and do nothing else. The chassis is made from aluminium, which has been given a ‘micro-arc oxidisation treatment’…the same as they do with satellites. It all sounds very swish and space age and sets the HTC One S up to take up a few extra knocks, which is handy since you’ll probably have this phone for two years. It fact, it puts us in mind of a Nexus One from back in the day a little bit. In principle, it looks great. In practice, it can cause a couple of problems. Because this is a tall phone – and because HTC has elected to put the lock button at the top rather than at the side as some other manufacturers do – there is a certain amount of leverage to even unlock the phone. And that’s only the beginning – the HTC One S is so uber stylish, HTC seems to have forgotten about the functionality of it. With anodized metal all over, this is one slippery customer. In the first few days of having it, we wince at recalling how many times we dropped it. Luckily only into our lap, but we can see a lot of people breaking these within the first few weeks. The HTC One X, meanwhile, doesn’t appear to suffer this affliction thanks to the slight curve. And despite being protected with Corning Gorilla Glass, it’s not that robust. We cared for our One S review unit like a newborn baby and still, we were dismayed to see what appears to look like a deep scratch at the bottom of the screen, which we can’t explain through normal use. A few months back, HTC’s Chairwoman Cher Wang made a pretty frank admission regarding HTC Sense. She said it was too complicated. And legions of HTC fans would probably agree. So, HTC has revamped it. There are lots of similarities to previous versions – but it just flows a lot better. Don’t forget, we are running Sense 4.0 atop Android 4.0 Ice Cream Sandwich and hats off to HTC for getting such a stable bit of tech out the door so quickly whilst other manufacturers dither about. The Sense launcher gives you seven homescreens to play with – which can’t be expanded. On prior handsets, there was the option of spinning to the last homescreen and it would go back to the beginning like a full circle but that’s now gone for some reason. You can quickly move to another by pinching the screen which gives a full overview. There’s little lag here and despite having a dual-core 1.5GHz processor compared to the One X’s quad-core job, there is no stutter with live wallpapers as you move through screens – which seems odd since you’d expect the one with less power to have the problem. HTC gives you a plethora of widgets to pick from and we love the implementation of it. Tap the screen and rather than the Android menu of old, you’re treated to a whole little interface with previews of said widgets. One thing we do love here is that you get a mini view at the top of the screen of your homescreens and as you tap on a widget, it pops up into that screen and then lets you continue to add more. There’s none of this adding a widget and then having to go through the whole process again to add a second one, bringing up menus and boxes etc. It just works simply and gracefully. settings menu to do this (which has been moved into the notification bar itself) unless you install a dedicated widget. We do like the Ice Cream Sandwich addition of contact pictures in the notification bar now when said person messages us. Also, there’s no search softkey anymore, which we found we used a lot. You’ll have to have a Google widget on your homescreen instead which restricts your option slightly. However, you do get a new multitasking button which brings up a very elegant view of running or recently used programmes and looks very nice indeed. Can we just say from the start – we are big fans of the way HTC manages its contacts. It’s had this nailed since the very beginning or at least for as long as we can remember. It seamlessly pulls in all of your Google, Facebook, Twitter peeps etc and possesses an astonishing ability to then be able to identify duplicates and suggest which ones should be matched up to each other. Not surprisingly, this is also featured on the One S too. Contacts are accessed through the phone shortcut which you’ll find in the dock at the bottom of the screen. You’re presented with your most recent calls at the top and a few favourites with the phone number pad also up on screen. That supports smart dialing so if, for example, you dial 323, it’ll bring up ‘Dad.’ Pretty standard fare nowadays but the kind of thing we’d definitely miss (and moan about) should it be left out. There are four tabs at the bottom of the screen: Phone, People, Groups and Call history. Groups syncs all of those groups you’ve created in Google Contacts which is a real Godsend if you work like this (we do) and you can actually edit them directly on the phone. You’re presented with a beautiful layout here with contacts’ images displayed as rather large thumbnails. It all looks absolutely gorgeous and HTC has managed to identify which ones look best so pulls in the highest res contacts from your plethora of authorised social networks, rather than giving you large, pixilated, ugly things. It also ties in nicely with the widgets that you can pile onto the homescreen to take full advantage. We love the fact that you can also block callers directly from the handset which should help until your stalker realises they should just add ’141′ to your number. Another nice touch is being able to search for numbers using Google Voice Actions which works remarkably well. We found making and receiving calls to be a pleasant experience on the HTC One S. We certainly had no issues with connections and this handset managed to keep hold of callers as we traveled. If we have one criticism, it’s that the bass on the earspeaker doesn’t sound brilliant. We felt it could have done with a bit of oomph but that’s us being picky and it’s certainly not awful. Messaging is where the HTC One S really comes into its own. There are more messaging options available than you probably have things to say. And of course, this is Android which means you add loads and loads more depending on your needs. On initial setup, you’re invited to sign into a number of services from the obvious Google to the likes of Facebook, Twitter and Exchange. Then off you go. Bog standard messages are easy enough and look pretty. Everything is laid out nicely as it always has been with contact pictures and speech bubbles and the like. We like being able to search the text of messages from the very top of the application and there are loads of options including being able to back your SMS up to email which is really helpful. We used a third party app to do this before so we had the sentimental ones safely saved but this brings it all in house. And don’t forget the rather excellent contacts integration which lets you see how you’ve communicated with a particular person from the phone section itself too. New messages and various other IM alerts are brought to your attention by the notification bar which you can swipe down and then tap to go to each relevant app. The only thing we don’t like about HTC is the way its phones handle HTML messages. Firstly, they don’t download images automatically (yes, we know there can be security risks but for regular senders, you should be allowed to set up a preference at least) and when they do, they’re not formatted for the screen. Apple has nailed this since day one with the whole email laid out nicely whereas the HTC One S (and other Android handsets) zooms in on the top left and then leaves you to pan around with your fingers all over the place. It’s all very odd. As for the keyboard, we’re sad to say that HTC has lost it a little bit. We always loved the HTC keyboard on older devices but it doesn’t seem to have the same flair here. We couldn’t quite put our finger on what it was but text input was not as easy or as fluid as in days gone by. And one thing that really irritated us was the fact that we kept hitting the wrong button and deleting characters. We tried recalibrating the keyboard which did provide temporary respite but then it started acting up again. One saving grace of the keyboard is that, like the Sony Xperia S, HTC has made the One S’ keyboard double up as a Swype-style affair too which means you can zip along at higher speeds. You can also download a gazillion different third party versions and we can recommend others like Smart Keyboard Pro or Swiftkey without hesitation. With the HTC One S being an Ice Cream Sandwich handset, there is one major plus here and that is that you can take advantage of Google Chrome which runs on ICS. But that’s no longer necessary thanks to this browser which actually lets you sign in and sync your bookmarks too! Genius. More on the bookmarks in a second. Pages load in a jiffy using the built-in browser too – be they over 3G or Wifi and they render almost immediately. We had a couple of occasions loading text and image heavy pages where there was a minor lag but it was barely noticeable. Our unit was on a par with both the Samsung Galaxy S2 and iPhone 4S which we tested side by side. We love the fact that (and this is an Android feature) you can just type in an address or search term to the box and it differentiates between the two and knows what you’re after. Other lovely inclusions are elements like the address bar and Android options disappearing as you scroll down a page and only reappearing when you go back to the top, thereby utilising the screen space to its full potential. Zoomed out, pages don’t look amazing. That’s due to the resolution and because we’re comparing the screen to the HTC One X and Apple iPhone 4S. Having said that, they don’t look bad by any stretch of the imagination and, in practice, how long do any of us stare at the whole web page before we dive in and start reading? As soon as you tap to zoom, it looks brilliant. Pages reformat when you tap them to make them automatically fit and then you can go further by pinching outwards to make the text as large as you want. Even when it’s completely humungous, the HTC One S will continue to reformat it so that it fits to the screen. It works so well. You get the feeling that they have really thought about their browser over the years and keep working hard to enhance the experience. 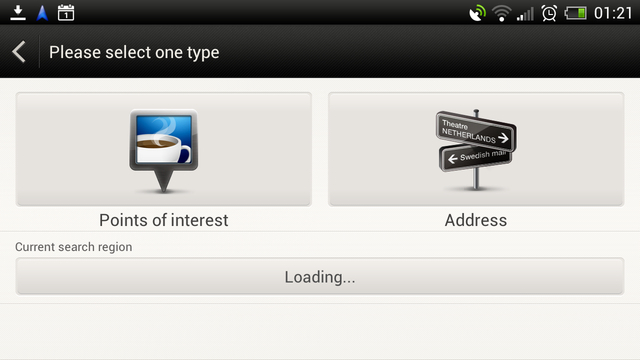 There is one slight blip in that HTC One S gives you an option to load desktop sites instead of mobile sites. It’s clear as day what it is supposed to do. Except with several sites (including TechRadar), it continued to load the mobile version, annoyingly. Flash is supported which is always nice. We’re not so hung up on it as we were, say, 12 months ago as even Adobe seems to have conceded (probably helped a little by Apple) that it is a bit of a dead man walking. Adobe will no longer continue to support flash on mobile devices post Ice Cream Sandwich but at least you’ll still be able to open sites that haven’t been updated rather than getting an error message. HTC has also given us its own version of Apple’s ‘Reading List’ which loads particular pages up for you in a text-friendly mode. You can also save offline web pages through the ‘Saved’ tab in bookmarks for easier reading on the commute as well. Bookmarks can be accessed through a widget on the homescreen or through a menu at the top. That menu has so many options for you to pick from in terms of what you want the browser to do – such as sharing through social networks or printing the web page. It’s great for geeks like us but may be a little too much for those who are new to smartphones though we concede HTC can’t please everyone and we’re certainly happy to have lots of choice. For those friends of yours who are bound to say: “Oh well, it’s not an iPhone”, show them the media section of the HTC One S and watch their jaws drop. Or at least look a little bit intrigued that a company other than Apple has managed to make a phone with a top-notch media experience. We should start by pointing out a large flaw: only 16GB of onboard storage and no option for expansion, and some of that space is taken up by the OS, which means serious music lovers will be left with the same amount of storage as a basic iPhone 4S. We’re sorry – but this is less a disappointment and more disgrace. What on earth are you thinking, HTC? Are you crazy? By all means, cap the memory at 16GB but at least give us the option of expanding it ourselves if that’s the case. Had this been an entry-level device, we’d understand. But this is a premium handset and we just don’t understand it. Yes, HTC tries to soften the blow by pointing out you get loads of space on its new friend Dropbox for the life of the handset, but it’s not an elegant or speedy solution by any means. HTC has really shot itself in the foot because any music lovers who don’t want an iPhone and don’t want to carry around something as big as the HTC One X in their pockets have been frozen out here. HTC has arranged all of its music elements into a hub, appropriately called Music. In there, you’ll find a ‘My Phone” icon which takes you to your personal library as well as Soundhound, the excellent TuneIn Radio and 7Digital. Any other apps that you download with a musical leaning will also appear automatically, such as Amazon MP3. The major formats all appeared to be supported in our tests. It’s all presented well with your most recent songs also available on screen. Go into the ‘My Phone’ section and you’re given a gorgeous album art display which really shows off your tunes. And when you actually play a song, it’s all integrated with the other apps. So you can choose to look for that song on YouTube or elsewhere. Soundhound is also integrated here and gives you some really cool options from looking up lyrics (it actually just does a Google search rather than consulting some huge database of its own) as well as letting you look for tour dates for the artist you’re listening to and go off on a tangent into other things. You’ll definitely never get bored waiting for the bus here. It even brings up a Google Map showing you where you conducted your search from. Which will be handy if you’re in the boot of a car having been kidnapped. But we can’t see how else. There are so many other nice touches too. You can update album art automatically. Or queue songs rather than creating playlists. HTC has done a – frankly – excellent job here. Adding to the experience is the Beats Audio tie-in. This appears to be HTC’s pet project at the moment but, having invested something like $500m for a 51% stake in Dr Dre’s music solution, it’s safe to say Cher Wang and Co are pretty serious about it. Firstly, the disappointment. Depending on the network you go with, you might not get a pair of Beats Audio headphones in the box. You’ll have to save up for them yourself. But, the good news is that you still get some benefit without them. Beats Audio doesn’t work with the speaker on the back of the HTC One S but just try streaming music via Bluetooth to a car stereo (as we did) or listening with bog standard headphones and you’ll definitely notice its far superior sound. We’ll not dress it up – it’s not like having the Black Eyed Peas singing to you in person – but it’s certainly clear and gives you a bit more bang for your buck. Oh, and you get an FM radio too! Bonus! As for video, HTC hasn’t bundled its own player and there isn’t really an all-singing all-dancing version in there, either. Yes, you can access them through the gallery but it’s hardly the same. Google offers you a Play Movies app which ties in nicely with its own sales and rental store. You can play personal videos through this but we’d describe the experience as passable rather than remarkable. As we stated in our original HTC One X review, it’s not designed for giving the most information if you’re watching a TV series and you’re probably best hunting out a third party market solution. HTC Watch is also bundled in and provides an alternative to the Google store. It’s been about a year since this launched (initially on the Sensation) and whilst, it’s not bad, it’s not amazing. You’ll find something in there if you’re really bored but Lovefilm or Netflix, it aint. However, HTC has begun something called ’5p Weekends’, allowing you to download movies for, you guessed it, 5p (around seven cents). There are some decent titles on there too, and got us actually using the service too. At least, if you do have something worth watching, the One S will not tire out your hands due to its shape and weight. But be warned again, you’re likely to drop it. So make sure you wrap it up. You can tell HTC has decided it really needs to concentrate on its camera efforts. A recent study showed that the camera is the main selling point now for people when they buy a mobile and HTC must have figured this out. It’s been offering up decent cameras for a while now not had bad cameras for a while (though we do wince to remember the truly awful snappers on the likes of the HTC Magic!) but HTC has obviously decided to keep on ploughing ahead. The HTC One S comes with a powerful 8MP snapper on board. It’s a real belter here and we’d say it definitely gives the Samsung Galaxy S2 a run for its money. HTC has made a real point of stressing how quickly it can take photos and we can verify this is not all marketing speak. You can fire this phone up from standby and have a photograph snapped in less than two seconds. And that includes going through the unlock procedure. It really is amazing. There is a downside in that it obviously doesn’t have time to automatically focus so quickly but you can do this manually by tapping on the screen. For very quick, spontaneous pics, it’ll serve you well. Whatsmore, when you take the photo, there’s no fancy animation of the photo slipping into the gallery before you take another picture business. It is ready to go immediately. If you’re somebody who takes photos in quick bursts, this really is a phone for you. The only thing we’re sad to see missing is a dedicated camera shutter button which would have been the icing on the cake. The HTC One S also has a very nifty, and very bright, LED flash. We found it achieved some pretty cool results when we used it in low light conditions…even if it did make everyone in sight squint. HTC has given us a ton of cool filters and these – plus the treasure trove of settings – are all available easily enough from the shooter screen. We’re not talking the basic ones you get on every phone but never use but some really impressive Instagram-esque effects that you can apply whilst taking the photo – things like Vignette, Depth of Field and Vintage. Unfortunately, there’s no ability to apply these same effects after you’ve taken the photo so, for example, we couldn’t apply a tilt-shift to a picture which is a bit limiting. You do get other features that you can add for post production but they’re nowhere near as exciting, although you can download the likes of Instagram to help that out. If you indulge in this as well, you’ll be able to do some serious fun damage to your snaps. There’s also the front camera – that snaps at VGA resolution. But unless you’re particularly vain, we can’t see that being a problem. We’re massive fans of one of the new features which means that you can actually take a photo whilst shooting a video of the same thing. It’s such a basic idea. Such an obvious element. Yet we’ve never seen it anywhere before. And now we have it, we don’t know how we’ll do without it when HTC makes us give them the One S back! The video camera can shoot up to full HD resolution of 1920 x 1080 but it’s set to QHD (960×540) by default. You get a ton of options in there to change from stabilisation to video recording and, despite our moans in the previous section about the Dropbox integration with music, it works to your advantage here with the option to upload your videos (and photos) automatically when on Wi-Fi so they’re always safe. Watching videos back on the screen is an awesome experience. They look amazing. Sadly, watching them back on a computer screen wasn’t nearly as breathtaking. They’re not bad by any stretch but there’s just no wow factor. However, despite all the bells and whistles, this is a phone camera so we’ll not be too harsh. So, in the interests of peacemaking let’s just chuck this into the mix: The battery life on the HTC One S is… pretty darn good. Yep, we’re as shocked as you are. But that 1650mAh unit gives a good fight. It may not be to everybody’s tastes having a battery that is sealed in but it didn’t faze us too much. We don’t think there are that many people (geeks aside) who carry spare batteries around with them. What people do tend to do is have a USB cable in their bag for a boost at work, a car charger in the brum-brum or one of those portable battery chargers in their bag. Let’s be honest – if you run out of juice, you’re hardly going to be out on a limb in most cases these days. And there’s no reason you should run out of juice on the HTC One S if you’re sensible with your usage. We hammered the battery and were still very pleased with what we got out of it. For example, one day, we took it off charge at 9am, browsed the net, sent a few tweets/emails and made about 40 minutes worth of calls. At 1pm, we fired up the FM Radio and Runkeeper Pro and went for a 90 minute run with the GPS on that whole time. At 3pm, we were in the car with the HTC One S connected to the stereo via Bluetooth streaming music (and live radio thanks to the Car app which we’ll mention in the next section) and using Google Maps Navigation for about 90 minutes again until the battery conked out at just after 4:30pm. Bear in mind, the screen was on for that whole 90 min period too! Now, 9am-4:30pm sounds shocking (or ‘standard’ if you owned a T-Mobile G1 – the first Android device to hit these shores) but this is running the phone very hard. In fact, we’d say it’s not even heavy usage but borders more on the sadistic end of the scale. And it really held its own. We were really pleasantly shocked by its stamina and can confidently say that if you’re a low to medium user, you’ll definitely get a day and a bit out of this though it would probably be prudent to charge it every night. As for connections, they are all here. Your obvious ones like HSDPA, Wi-Fi, GPS and Bluetooth all turn up to the party. Unlike the HTC One X there’s no NFC inside, but HTC is rolling this out slowly to its handsets. Whilst the future of NFC is pretty exciting now that the other manufacturers are getting on board at long last, there’s nothing major here just yet to get us salivating. Bluetooth is now of the 4.0 variety which means it’s pretty futureproof with the advancements we’re about to see (check out our ‘What is Bluetooth‘ article for more on that) plus Wi-Fi b/g/n are the options for fast data usage. As standard, you get the Wi-Fi hotspot feature which has come in extremely handy for us on past occasions. We’re not massively thrilled with the lack of Mac connectivity support as you may have gathered from the Media section but at least if you’re rocking a PC, you’re in good company here. DLNA is supplied as standard on the One S so if you fancy hooking this up to, say, a PS3 or capable TV to blast out some tunes or video, you’re in luck. We’re annoyed with the support for Apple users. Or, rather, the lack of it. We couldn’t sync with a Mac with the HTC Sync software only appearing to support Windows. What is this? The 90′s? OK, so it’s easily fixable if you download an alternative like iSyncr or DoubleTwist but that really takes the shine off it when you have to start figuring this all out yourself. Especially if you’re a new HTC user. HTC has never been one to scrimp on the apps it includes and we’re glad that it continues to be so generous. We’re not talking bloatware like some other makers here but genuinely useful and fun bits. As standard, you’ll get all the Google offerings. And that includes the excellent Google Maps which looks amazing on the HTC One S screen. We’d expect no less on an Android phone but Google Maps on Android really does look so much better when compared side by side to an iPhone. Although third party navigation apps are available (we have Co-Pilot loaded just in case), the seamless combination of Google Maps and Google Navigation is really a lesson in how it should be done. It’s not flawless though – for example, sometimes listings are off as we found out last week when trying to navigate to our local Town Hall and ended up going around in circles – but on the whole it is excellent and providing you have a data signal, you’ll reap the benefits especially with real time traffic data on the go. However, have an offline maps app (such as HTC Locations) for when abroad as it guzzles that data like Nan with the sherry at Christmas. GPS is quick to lock on. It’s not as fast as the Samsung Galaxy S2 which really did awe us when we tried it out for the first time – but only takes an extra second or two to get a fix. HTC Locations is another ball game altogether and one that you probably won’t be using all that often. It’s mostly a sat-nav service, but one that’s far more in-depth than the Google maps Navigation offering that most will use. There’s access to more in-depth traffic reports, speed cameras and voice guidance from a range of characters. It’s also got wide-ranging information on cash machines, petrol stations and more – and you can download the maps to enable offline viewing of practically anywhere in the world. The only real downside is the fact you’ve got to pay for most of it – we highly doubt many will fork out £4 a month to get access to most of the features on offer here. It’s a good service, but one that’s mostly out-flanked by Google Maps. The HTC One S links all the mapping elements above very nicely with the Car app. You can fire this up manually or set it up so that when your phone connects to the car via Bluetooth, it kicks in all by itself. On the display, you have a clock in the centre with four key shortcuts: Phone, Google Maps Navigation, Music and Internet Radio (courtesy of TuneIn). We tried all four and they worked brilliantly. It’s a very competent effort. Aside from that, there’s a multitude of widgets available on the One S (although most of the clocks we have seen before as they’ve been around years), Mirror (for when you want to use the VGA camera to check you still look hot), the rather addictive Teeter game and YouTube for browsing tap dancing cats and discovering the new Rebecca Black. All these apps are presented in the standard 5×4 HTC configuration in the app drawer and you can choose to browse them by those you’ve downloaded specifically, those you’ve used the most or just look at everything together. We would like the option of hiding some apps (things like keyboards are not really apps so heaven knows why they appear in the app drawer) but you can’t do this unless you download a third party launcher. And if you do that, you lose some of the top HTC widgets. Bah! We thoroughly enjoyed using the HTC One S. We expected it to be a poor man’s One X but were really pleasantly surprised. Rather than being a cheaper alternative, it compliments the larger device and, in another world, this could have been the flagship handset. It’s more of an evolution of the HTC Sensation range: slimmed down, nicer finish and far more feature rich. HTC has clearly been watching how other manufacturers implement media and has been taking detailed notes on how to improve on them. It’s an excellent solution as is the class-leading way it looks after your contacts. Call quality was excellent and things like being able to backup your important SMS messages go a long way. Plus, the browser is top notch and small touches like the camera taking photos at the same time as video and Beats Audio integration really put a smile on our face. Don’t get us wrong, the design is beautiful. But the HTC One S is just asking to be dropped and we’re not sold on the integrity of that Gorilla glass. We also couldn’t work out why Sense seems to still only give us seven homescreens now and why Mac users appear to have been frozen out. And don’t get us started on that 16GB limited memory or we’ll end up simply losing the plot. It’s good HTC has packed this to the rafters with decent media ability, but to then mock us with so little storage (and no larger option on the horizon) really ruins a great phone. There are few phones we play with where we think that we have the complete package and would happily give five stars. The HTC One S would have had five stars had it not been for this ridiculous 16GB memory cap and non-HD screen. We’d have even settled for 32GB in the absence of an expansion card slot. If you’re a music lover, you may be better hanging about for the yet-to-be-announced-but-we-all-know-it’s-coming Samsung Galaxy S3. Or check out the HTC One X if you’ve shovel-sized hands. And it really pains us to say that because we want to tell you this is one of the best phones we’ve used in recent years. Which it is. And all that aside, if you’re not bothered about a massive memory, you probably can’t do much better now. The HTC One S is a beautiful handset blessed with beautiful capabilities and is already available at very palatable price points.